The Album Of The Week is "The Dark Won't Hide You" by Night Horse. You got to admire it: it is not easy to make a CD that so obviously refers to music from forty years ago and avoid it from sounding old-fashioned. That is just what Night Horse have done on their debut ‘The Dark Won’t Hide You’. Clearly very retro, inspired by white blues made by people and bands like John Mayall, (Peter Green’s) Fleetwood Mac and early hardrock such as Taste and Sir Lord Baltimore, but also with a sound that reminds of grunge. If you are a fan of such Music, Tee Pee Records is the record company for you. 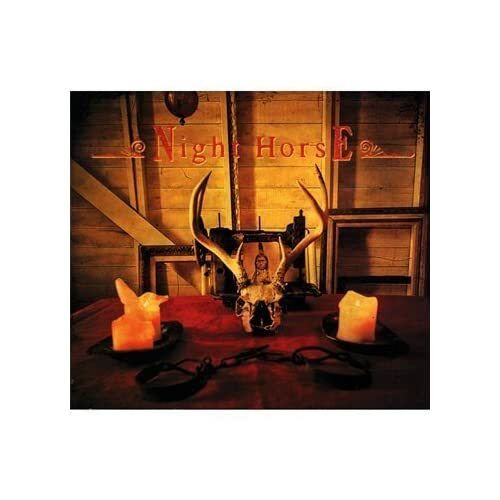 The label has many psych/rock acts like Earthless, Graveyard, Titan and Witch signed and now they have added Night Horse to the roster. And as they say: good things come fast. The band was started in January 2008 and already in October their First album has been released. Alright, it is a short one, only six tracks in 33 minutes, but in that short period we get a lot of Real Rock ‘n’ Roll. Blues based hardrock is not ultra cool and hip Music, so you won’t be able to fill large concert halls, unless you have a long beard and your band is called ZZ Top. Not completely fair, this comparison, as Night Horse is not as stale and campy as the well-known trio from Texas. Their sound is much fuller and bigger. For an important part this can be explained by the fact that Night Horse is a quintet, with as its main attraction the guitar duels fought out each track by the tandem of Justin Maranga and Greg Buensuceso. The Allman Brothers are never far away – to drop another name.